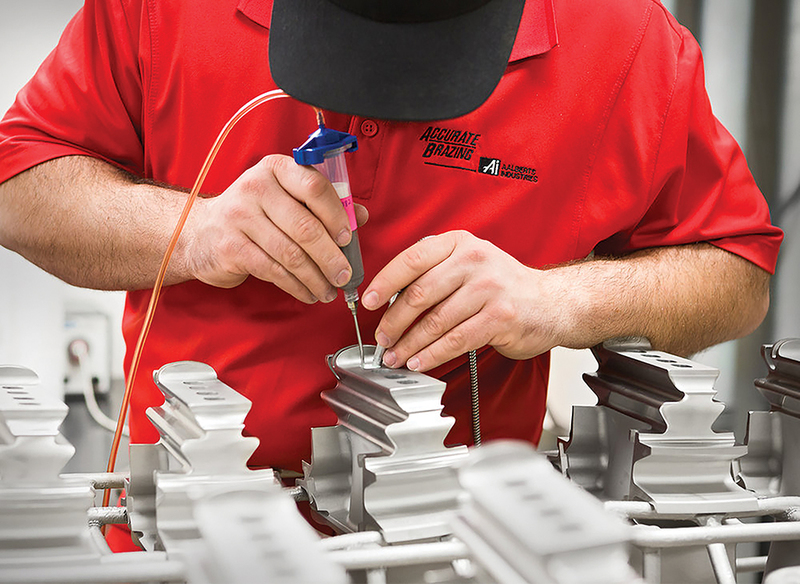 Full-Service Vacuum Brazing and Heat-Treating | Aviation Products | Accurate Brazing Corp. Accurate Brazing’s specialties include end-cover, nozzle and cartridge assemblies for fuel delivery systems. Its facilities in Connecticut, New Hampshire and South Carolina are able to heat and treat materials including copper, stainless steel and super alloys. The company has a continually expanding certification and approval list ranging from Boeing and Rolls-Royce to Honeywell and Raytheon.